For children to grow and develop, to learn and play, they need healthy meals and snacks. At St Mark’s we help children to become independent by teaching them to make healthy food choices. Children in Nursery and Reception and the Key Stage 1 classes are all entitled to Free School Meals under the Government initiative. Parents do not have to pay for the meals and it is an ideal opportunity to take advantage of a healthy tasty hot meal at school. If any parents think their children may be entitled to free school meals please contact the school office for further details. Even if your child is in Recpetion class, Key Stage 1 and having a school meal free or your child is in Nursery or Key Stage 2 and does not wish to take school meals, if eligible, the information will gain welcome additional funding for the school known as ‘Pupil Premium’. If you prefer your child may have a packed lunch. We ask that you ensure packed lunches are healthy and well balanced as we do encourage healthy eating throughout the school. The school is also a nut free school, therefore we ask you to check carefully and avoid nut products, all sweets, chocolates and fizzy drinks. Please ensure drinks are in a non-breakable container. All children in the Early Years and Key Stage 1, receive a free piece of fruit or vegetable for snack at playtime as part of the Government’s scheme to promote healthy eating. Please let us know if your child has any allergies to any particular types of fruit. 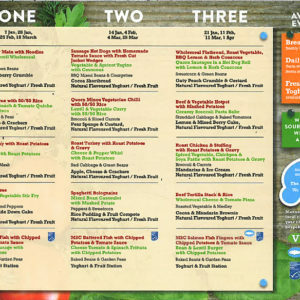 Unfortunately children in Key Stage 2 do not receive free fruit or vegetables, so they may wish to bring a snack to school each day. Please send fruit, peeled vegetables or dried fruit. Please do not send biscuits, chocolate, sweets, crisps, nuts etc.